Located on the eastern coast of Central America, Belize boasts an amazing jungle to the west, and a beautiful Caribbean shoreline to the east, lined with the famous Belize Barrier Reef and its abundant marine life. With manatees and Mayan sites, tarpons and toucans, reefs and rain forests, Belize is a dream destination for nature lovers and adventure travellers. 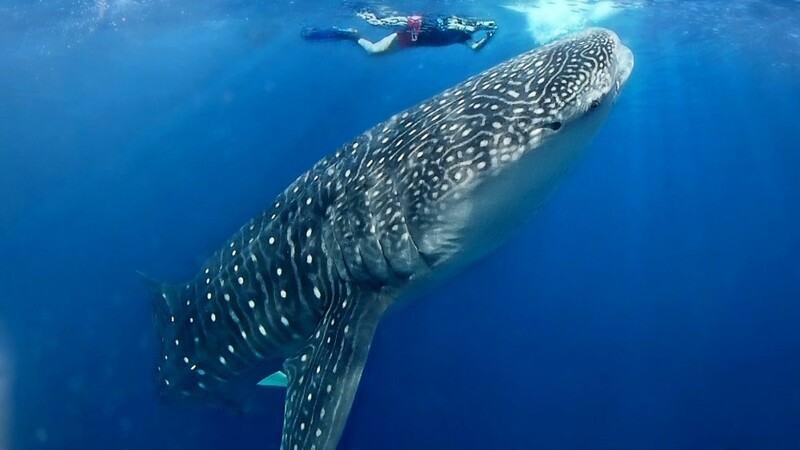 Belize is home to the second-largest barrier reef in the world, running the length of this 185 mile country and is well celebrated among scuba divers and fishermen who have enjoyed the waters here. Full of adventure and discoveries 60 percent of Belize is preserved, making it a haven for even the best-heeled traveller. Boasting mountains soaring to 3000 feet, cascading waterfalls, and dense jungles, Belize provides home for teeming wildlife, exotic plants and endangered species- the unspoiled experience is what draws visitors here. 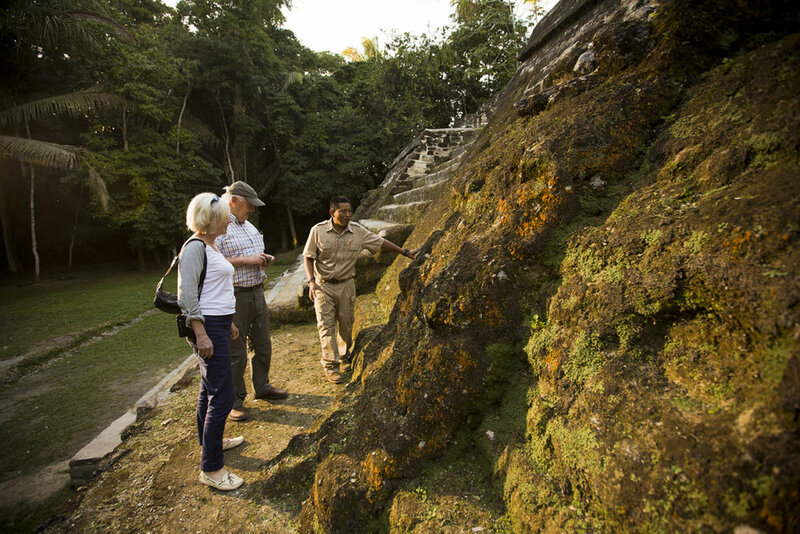 To add another dimension to this amazing destination, the Ancient Mayan sites are magnificent. Wildlife sightings can easily be taken for granted in Belize; you can see manatees, monkeys, keel-billed toucans, green iguanas and Blue Morpho butterflies. Jaguars freely roam the forest at night time, and over 570 bird species showcase their airborne, acrobatic tricks, and trophy-sized sport fish cruise along in their own colourful underwater paradise. 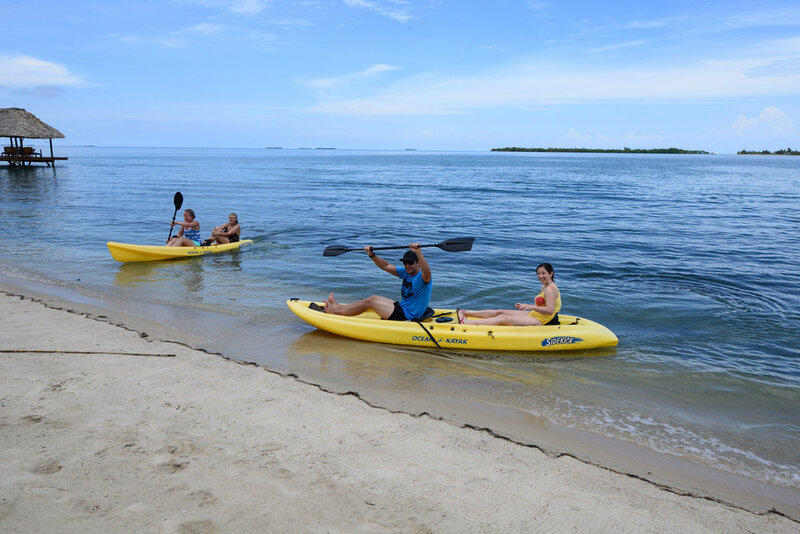 You can kayak and canoe along the river banks, which are dotted with mangroves, and keep an eye out for fishermen who head out aiming for a grand slam, land a bonefish, tarpon and permit fish in the same day. Belize is host to the famed Blue Hole and three of the four coral atolls in the Western Hemisphere: Lighthouse Reef, Glover's Reef and Turneffe Islands. Nestled between Mexico and Guatemala along the Caribbean, this tiny Central American country boasts the longest barrier reef in the Western Hemisphere. Miles of sandy beaches, limestone caves, mountains, waterfalls, jungles, mangrove lagoons, over 500 species of birds, the world's first and only jaguar preserve and much more await the active and curious traveller. 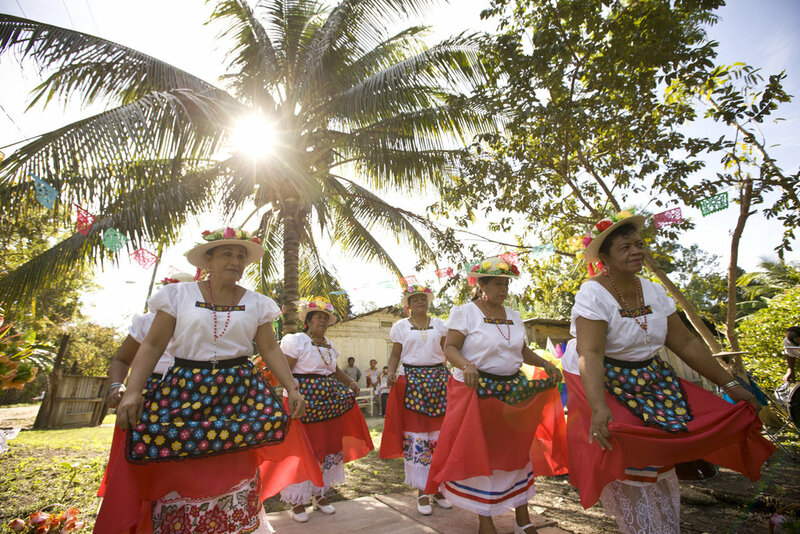 For centuries Belize was one of the centres of the Mayan world, serving as a major trading and agricultural hub. 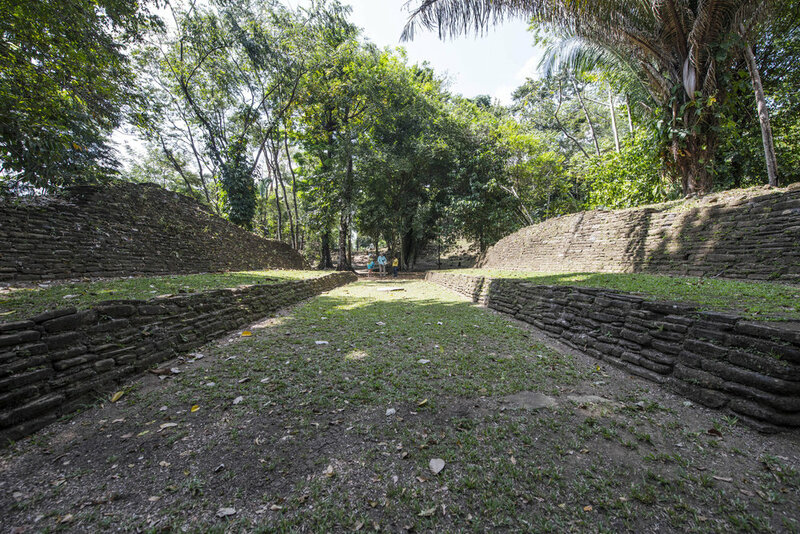 The Mayans carved great cities out of the jungle- many of which can now be visited and explored by the public, with Altun Ha just 30 miles north of Belize City. Wonderful artifacts including the largest jade plaque ever discovered have been excavated from this ceremonial centre’s tombs. 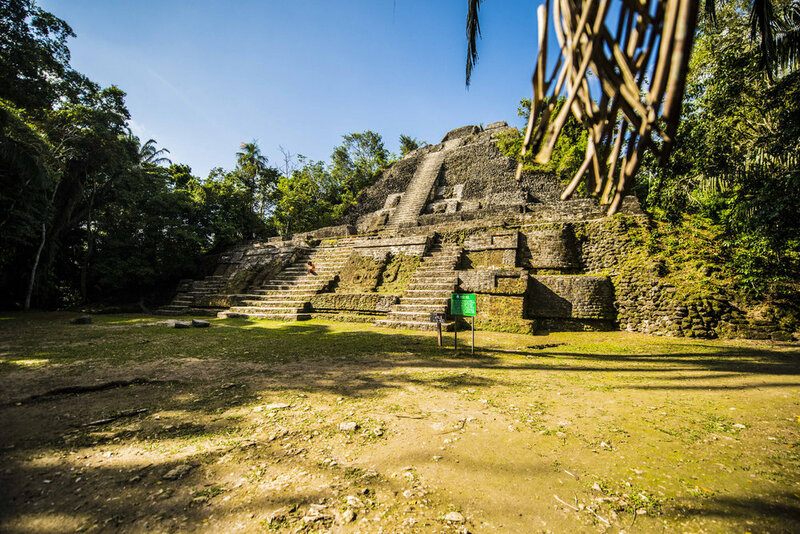 Beautiful towering temples seemingly leap out of the jungle from Xunantunich, Lamanai and Caracol. Carved stelae help to tell the story of this ancient civilisation, the largest of which can be found at Nim Li Punit in the Toledo District of southern Belize. The long British influence is evident throughout the largest city, Belize City, and throughout the country as it is still English that is spoken here. 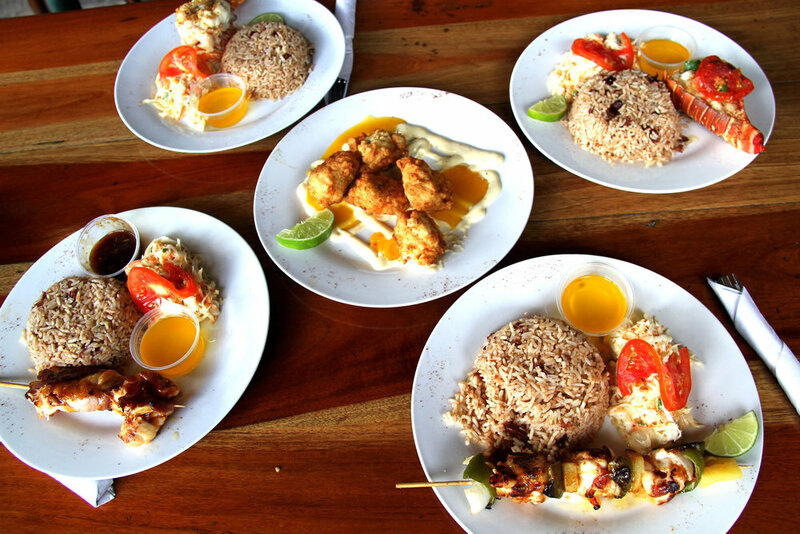 Formerly British Honduras, this sleepy outpost only became independent in 1981. The steady, constant development over the last 20 years or so has created an efficient airport, beautiful resorts, hotels and jungle lodges, a substantial tourism infrastructure, and more eco-tourist sites and water sports opportunities than can be enjoyed in a typical holiday- giving Belize a true point of difference amongst other beautiful Caribbean islands. The barrier reef cayes: Ambergris Caye, Caye Caulker, Turneffe Islands, Glover's Reef, Lighthouse Reef and many uninhabited tiny islets are favourites with both local fishermen and divers worldwide, made possible through easy access either by plane or boat from mainland Belize. The mostly sand streets of San Pedro Town on Ambergris Caye and Caye Caulker are typical of this tropical paradise where golf carts and bicycles are the main mode of transport, and small, comfortable hotels, diving and fishing lodges welcome offshore visitors. Famous dive sites such as the "Blue Hole", Half Moon Caye, Hol Chan Marine Reserve & Shark Ray Alley, Caye Chapel, and the Sapodilla Cayes in Southern Belize keep divers coming back for more. The Belize weather is subtropical, with an average annual temperature of 79° Fahrenheit/26 Celsius with rainfall varying from around 4metres annually in the rain forest and jungle interior to just a metres worth of rain along the coast. Cooling trade winds keep the cays a comfortable temperature, with occasional storms blown in from June-December. Heat and humidity are as you would expect as you travel inland through small towns, large agricultural areas, and over the many rivers and streams crisscrossing the hilly landscape. 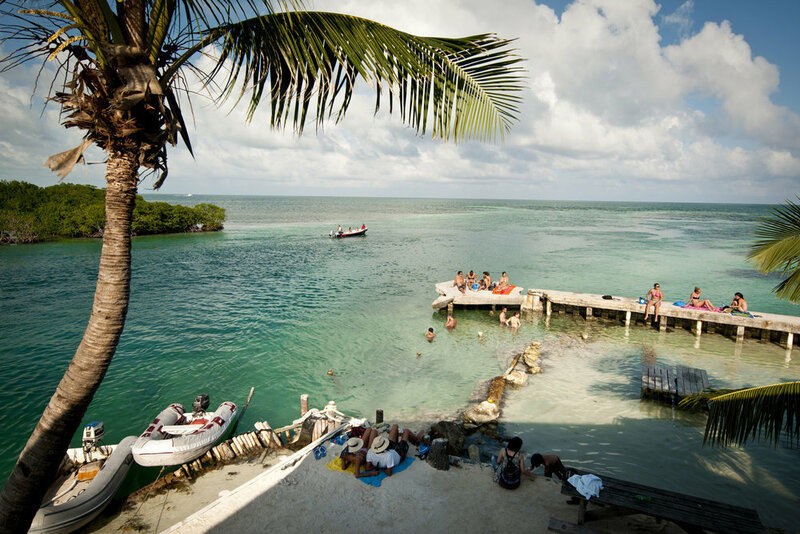 A variety of mainland tours featuring the Mayan ruins and natural wonders of Belize are now as popular as the diving, and many people choose the comfortable accommodations forged out of the wilderness instead of the beach-side options; or you could do a stint at both! With its many diverse attractions, you'll have to return again and again to experience all Belize has to offer.